Diet is one of the most important aetiological factors in dental caries. This chapter describes the relationship between sugar consumption and dental caries through history. Cariogenicity of food items and diet as well as factors that influence the cariogenicity are reviewed. The interplay of diet with other preventive measures also receives attention. Prevention through diet with natural sugar alcohol, xylitol, and beneficial bacteria (probiotics) is discussed. 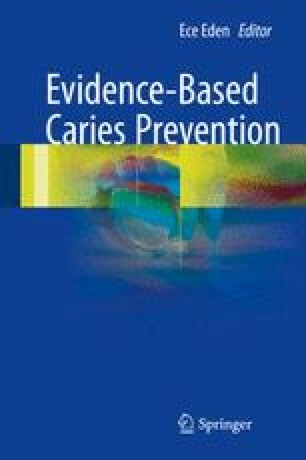 Finally, diet counselling for caries prevention for different age groups is summarized and dietary suggestions with health benefits are reported. The authors wish to thank Dr Roland Blankenstein for his support with the English language and for sharing his experiences and Prof Dr Ece Eden for her contributions to the content of the chapter. World Health Organization. Obesity and overweight. Fact Sheet No 311, updated 7.03.2016, available from http://www.who.int/mediacentre/factsheets/fs311/en/January 2015. World Health Organization. Healthy Diet 2015 [updated 07.12.2015]. Available from: http://www.who.int/mediacentre/factsheets/fs394/en/. Administration FaD. About the GRAS notification program 2009 [updated 07.12.2015]. Available from: http://www.fda.gov/Food/IngredientsPackagingLabeling/GRAS/ucm2006851.htm.